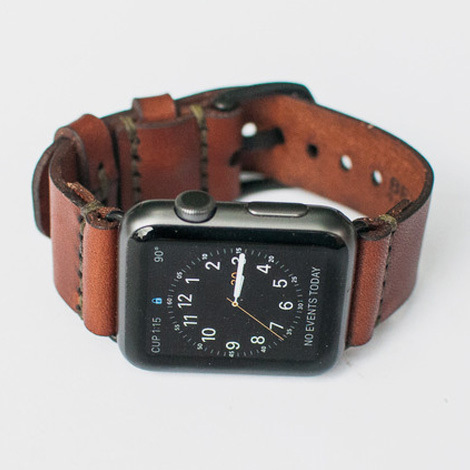 Love the juxtaposition of this raw and rugged traditional style strap with the hyper-sleek Apple watch. Bexar’s Apple Watch strap is made out of 4 ounces of American bridle leather and uses a time honored hand sewn saddle stitch. There are two colours available, tan and medium brown.